That description of a shortcut file was taken verbatim from the first widely read report on what would later be dubbed the Stuxnet worm, which also employed an exploit for a weakness in the way Windows handled shortcut (.lnk) files. According to security firm Qualys, this patch should be prioritized for both workstations and servers, as the user does not need to click the file to exploit. “Simply viewing a malicious LNK file can execute code as the logged-in user,” Qualys’ Jimmy Graham wrote. 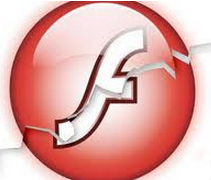 Adobe’s Flash update brings the program to v. 30.0.0.154 for Windows, macOS, Chrome and Linux. Most readers here know how I feel about Flash, which is a major security liability and a frequent target of browser-based attacks. 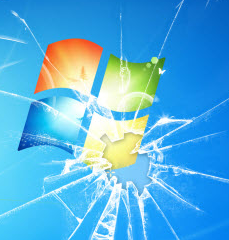 The updates from Microsoft include these Flash fixes for IE, and Google Chrome has already pushed an update to address these five Flash flaws (although a browser restart may be needed). But seriously, if you don’t have a specific need for Flash, just disable it already. Chrome is set to ask before playing Flash objects, but disabling Flash in Chrome is simple enough. Paste “chrome://settings/content” into a Chrome browser bar and then select “Flash” from the list of items. By default it should be set to “Ask first” before running Flash, although users also can disable Flash entirely here or whitelist and blacklist specific sites. Adobe also released security updates for its PDF Reader and Acrobat products.